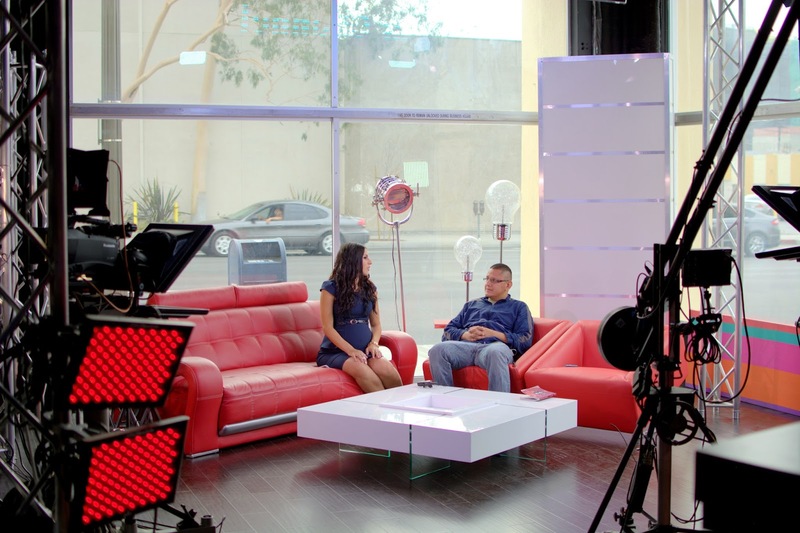 If you follow me on Instagram you know that I was recently invited to be a guest on the new TVC Latino morning show "Empezando El Dia" hosted by the beautiful Tania Ontiveros and the charming Carlos Elias. On the show, I discussed the journey of Tanya Kara Jewelry, shared what was popular in the jewelry fashion world this summer and what jewelry trends to expect for Fall 2014! TVC Latino and the entire Empezando El Dia cast and team was SO AMAZING. I highly suggest you guys checking out their channel by clicking here. Here I am hanging out with the camera guy as he gets me acquainted with what camera is for what. I shared with Empezando El Dia that I am a third generation jeweler, and I am so lucky to learn everything I know about the jewelry business from my family, including my father which was Tupac Shakur's personal jewelry designer. Tania and Carlos were so much fun...here we are goofing around in between commercial breaks. 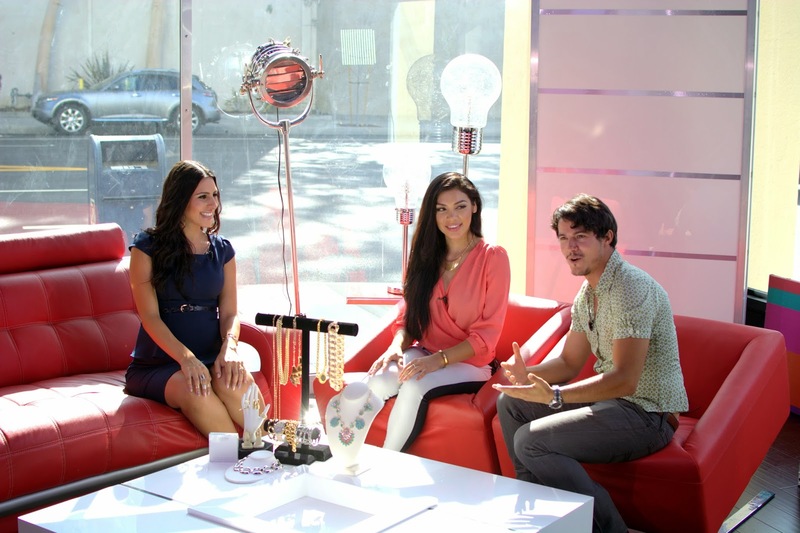 Tania and I are showing Empezando El Dia viewers how to wear midi rings and what the current nail trends are. Thank you Carlos and Tania for being such amazing hosts and thank you Karen for the great hospitality! 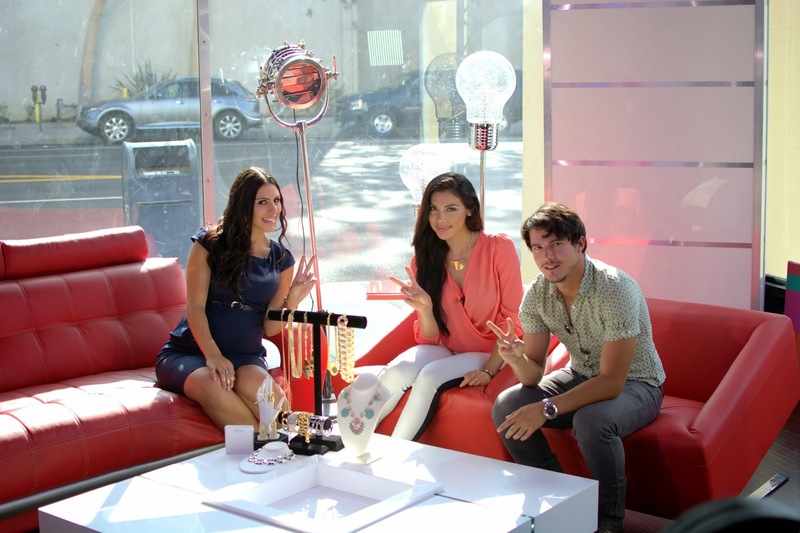 Make sure you guys check out TVC Latino and all their amazing shows! 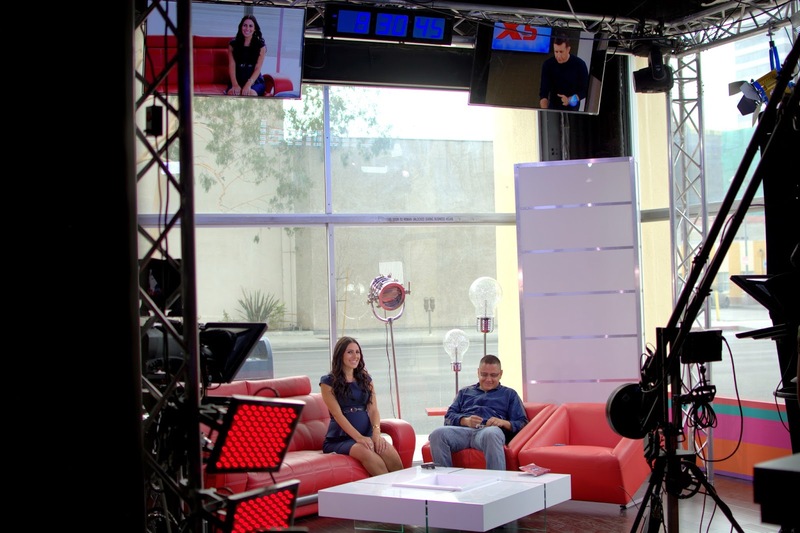 Empezando El Dia airs every Mon-Fri 9am-11am. Click here to read more about the show! After the show I headed over to the new Americana Mall in Glendale, CA since it was RIGHT down the street. The Americana in Glendale has some REALLY amazing stores so it was nice to walk around and check out this amazing venue. Yes, this is for real! 24 hour cupcake ATM! Yes Please!!!!! Seriously, thank you SO MUCH you guys for all your support, reading my blog, supporting Tanya Kara Jewelry, following me on Instagram, I love you guys so much. Being pregnant sometimes it is hard to keep working (literally) especially as my baby in my belly gets bigger, so all your comments, positive support etc., is MORE than appreciated. Without you, I wouldn't have been invited to Empezando El Dia and I wouldn't be doing what I love which is providing amazing jewelry to the world filled with love and inspiration. YOU mean the world to me. THANK YOU THANK YOU THANK YOU. Translate Tanya Kara To Your Native Language! How I Hit 100,000 Poshmark Followers In 11 Months! I'm Not Like A Regular Mom, I'm A Cool Mom!